The Battle for Brimbank Soccer Supremacy! Thirty-two soccer teams will take to Balmoral Park in Derrimut next month to battle it out for the coveted 2015 Brimbank Cup. The Brimbank Cup is an award winning community event delivered by Brimbank City Council in partnership with Victoria Police and Balmoral Football Club and supported by the Football Federation Victoria and Melbourne Victory. 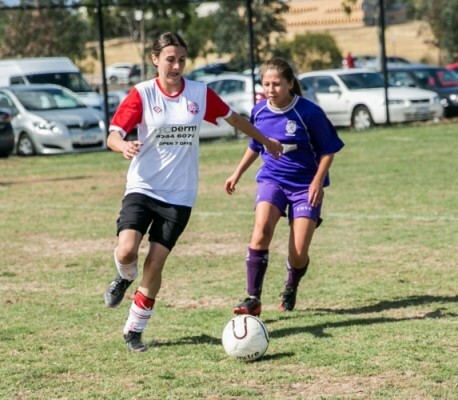 Twenty-four men's teams and eight women's teams will battle for soccer supremacy in the the fourth annual Brimbank Cup which runs from Friday 13 February until Sunday 15 February. This hard fought contest is becoming a jewel in the local football crown. Brimbank City Council’s Chair of Administrators John Watson said the event is expected to bring together at least ten nationalities when competitors take to the pitch. Last year teams from the Vietnamese, Acholi, Sri Lankan, and Sierra Leone communities were among those represented. 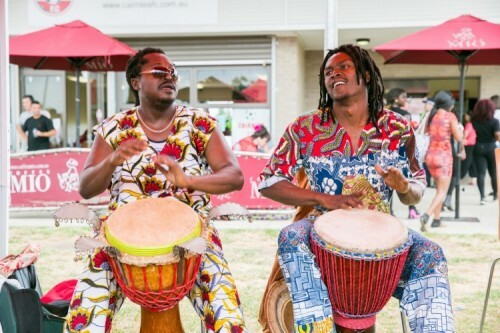 Watch our Youtube video of the 2014 Brimbank Cup! “The Brimbank Cup is an opportunity to build social harmony through sport and it’s great to see so many sporting and social teams signing-up for this year’s tournament,” Mr Watson said. This exhibition game will have a crack Victoria Police team compete against a Brimbank team of talented Youth Junction participants. It's sure to be an entertaining match, and one not to be missed. “The Brimbank Cup is a highlight on Victoria Police’s calendar of events and as with previous years there will be no shortage of players vying for a position on the exhibition game team,” he said. The West African Drumming Circle and African Women’s Sewing Club will also be there. Children can get their face painted and have a go at Melbourne Victory’s inflatable soccer target. There'll also be an Ethiopian coffee ceremony, Afghan tea ceremony and Burmese bamboo dance! With so much excitement there's every reason to come down and support your local team!